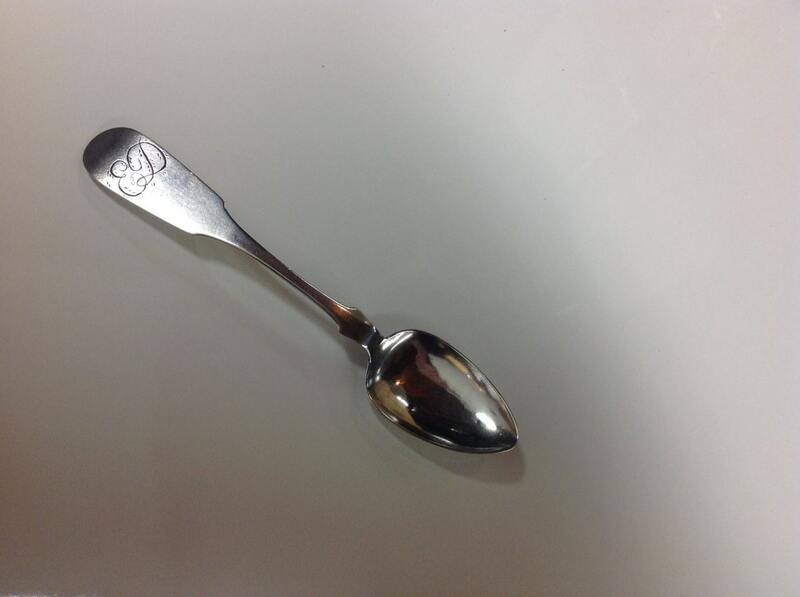 A superb early Pennsylvania coin silver teaspoon made by known maker Martin Shreiner. Shreiner was a prolific craftsman known for his work in jewelry, silver, and clockmaking. He inhabited the town of Lancaster and came from a multi-generational family that had settled there. 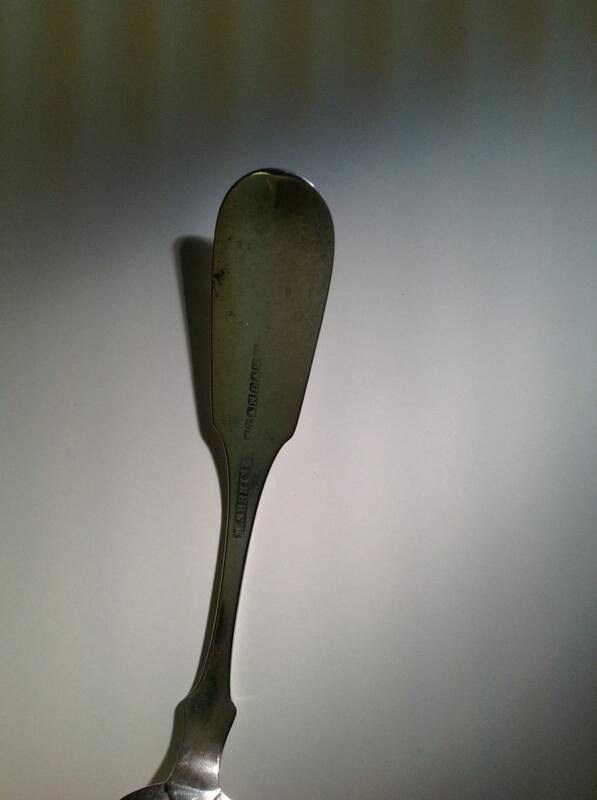 This simple spoon typifies the time period. Neatly made, and stamped "Standard" as well as "M Shreiner". Both stamps in a fancy cartouche. 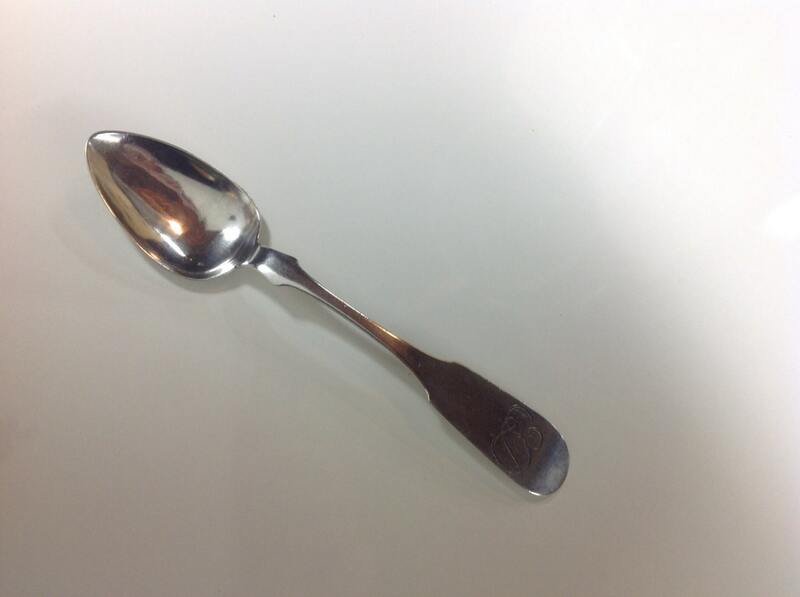 This spoon is in very good condition given the age with nominal wear, surface scratchesm, and overall patina. Overall, a rare piece and the only available by this maker at the time of this writing. Referenced in: American. Silver, pewter, and. 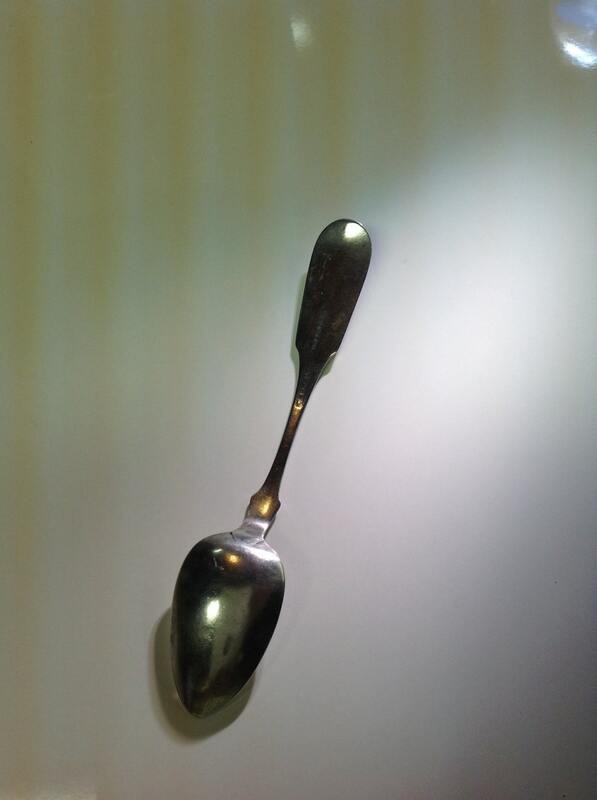 Silver Plate, Kovel, page 246. Dimensions: about 5.5" in length and weight of about 12.7 grams. 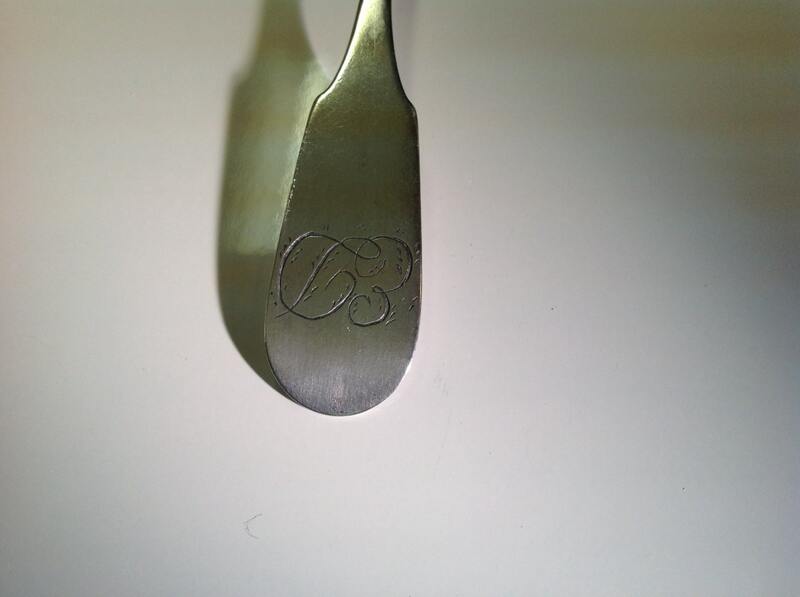 Monogrammed E.D. in a hand laid cursive.